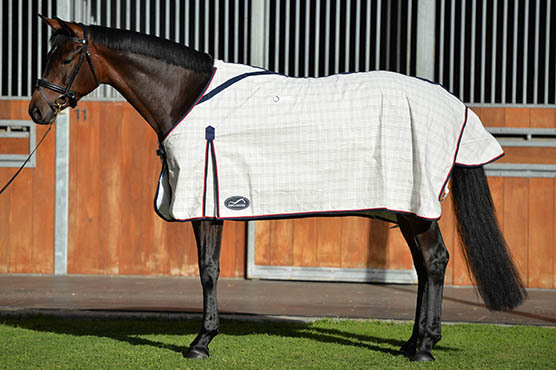 The new Eurohunter Brisa is a classic rug combining softness with strength and durability. • High quality poly cotton (65/35) ripstop fabric. • Satin lined shoulders and mane strip. • Removable leg straps and generous tail flap.